Purchase prices are dropping all over Manhattan, but not as badly as they are in some other cities. Home prices are often a hot topic of conversation around town, but lately, it's because they're falling faster than Wednesday's surprise snowflakes. The drop is similar to that in the city's financial services game, and experts believe it's going to hang around for a while, according to the New York Times. Homeowners are lowering their asking prices, and hopeful first-time buyers are taking advantage of what's suddenly available. A pair of early-30s school teachers expecting to wait another year were able to buy a $470,000 waterfront condo in Rockaway Park, according to Metro. Tax credits and comfy loan requirements made it possible for Tim Corcoran, 32, and his fiance, Fran Ludwig, 31. "It's not like we're getting a cheap house, but the taxes made it affordable," Ludwig told Metro. The prolonged slump that experts are predicting isn't only ripening possibilities for rookies. There's plenty of turmoil where the big dollars are changing hands. There are at least 350 apartments or town houses available in Manhattan with asking prices of more than $10 million, according to the Times. And that figure is growing. 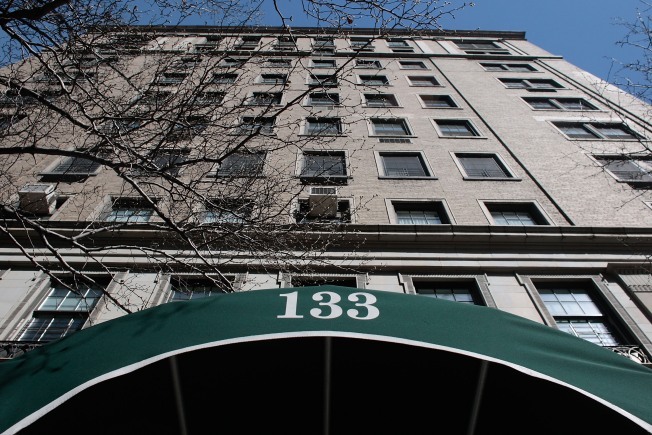 A philanthropist and documentarian named Abigail Disney told the Times that she put her 17-room, West End co-op on the market last year for $13.5 million. Today, she'd take $7.5 million, a nearly 50 percent drop. Still, compared to many U.S. cities, New York's housing index is still largely intact. It's off by 10 percent, the Times reported, but cities like San Francisco (32 percent), Phoenix (35) and Las Vegas (32) have it far worse.